Magic, mind-reading and baffling close-up miracles are promised in the first stage show by Broadstairs magician Robert Bentley. 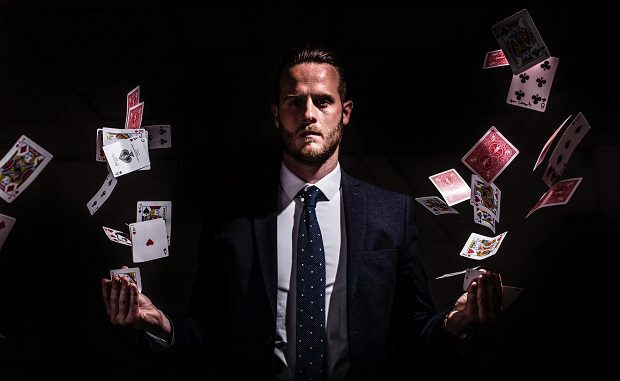 The Magic Circle member, who is the resident magician at Houdini’s Magic Bar, will take to the stage at Cliftonville’s Tom Thumb theatre at the end of this month. Robert has performed for stars including comedian Dawn French and has beena magician for more than a decade. The show runs on August 30 and 31. The first show (August 30) has sold out but there is still time to snap up tickets for the second show. Show starts at 7.30pm. Tickets cost £8.